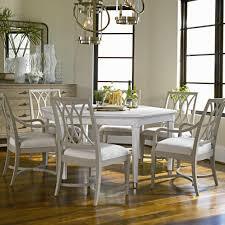 Stanley Furniture Reviews - Striking Designs With Artisan Finishes! 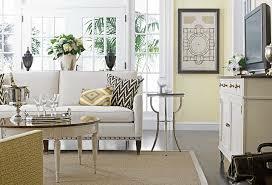 Stanley Furniture has a long history of creating and delivering units for the whole home. It all begin with one man, Thomas B Stanley, who made the decision to found the company and turn his craft and passion into a business. In this Stanley furniture reviews guide you will learn all about the history of Stanley furniture, the types of furniture they produce, the quality of this furniture, and Stanley furnitures warranty policy. Stanley has been operating since 1924 and what started small quickly ballooned. Just 30 years later the founder, Thomas Stanley, was governor of Virginia and hosting the Queen on her royal visit. Like other furniture companies founded around this time they grew with the industrial revolution. Workers began to move away from traditional farm work and instead went to the cities. This new workforce sparked the industrial boom that companies like Stanley Furniture really benefitted from. 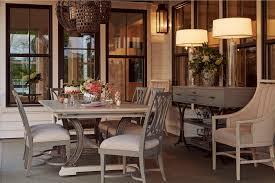 Stanley furniture was founded with the mission of creating striking designs, artisan finishes and superior quality. They believed in providing the customer with unmatched style that wasn’t unaffordable, letting everyone have the furniture they require. While the methods and market has changed, Stanley have stayed true to their vision. 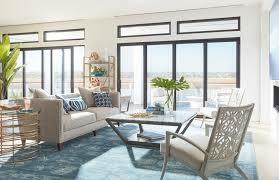 They are still offering homeowners access to stylish designs which offer real benefit to the home. Let’s take a look at their current products. Stanley furniture produce a wide range of products for the whole home. Their collections include products for the bedroom, living room, office and the dining room. Within each category you can see all the different individual products offered. The furniture is divided into different styles so you can quickly find what works best for you. Traditional furniture has always been very popular but modern and contemporary ranges are also offered by Stanley. For each room and each piece Stanley offer a number of different choices when selecting your furniture. Firstly the size and shape can be altered for a lot of their items. This allows you to effectively use the space you have available without having to compromise. Perfect for smaller or more condensed households. Stanley offer a lot of colour options with their furniture and a lot of this comes down to material. If you are interested in many color options, then Cindy Crawford has many color options! Different woods or MDF boards can be used with some items to give a completely different colouring and look. This is essential if you’re trying to find the best furniture to match your home and existing decor. Several different fabrics are on offer for the upholstered items. Different colours and densities of fabrics are available, each giving a unique texture to your items. If you are interested in thinner fabrics, then look at Sherrill Furniture's fabric. There are even some specialist fabrics which are designed to give increased comfort and also protect your furniture. Stanley even offer some leather options for those who prefer the classic look to their furniture. Overall Stanley offer a fair amount of choice in their product selection but certainly not as much as other brands. They don’t have the most innovative catalogue of products but they certainly contain one or two strikingly attractive pieces. It’s definitely worth taking a trip to your local dealership to see what’s on offer. Quality is the number one factor when selecting furniture. If the quality isn’t there then you can’t be sure that the product will stand up to the stresses of daily life and that it won’t just break instantly. You also can’t be sure that the furniture will last as long as it should, meaning you’re paying extra down the line. If you are interested in a brand that has some of the best and consistent quality around, then you need to take a look at Huntington House Furniture. They have some great quality, but they're prices are a little higher. Odd discrepancies can happen with furniture and dodgy units are released to the public, this means it’s hard to gauge quality of a company with 100% accuracy. Instead to evaluate the quality and consistency of a brand you need to look at the processes involved in production. Stanley’s goal is to produce furniture which is of a high standard across the board. For them this begins with the materials used. Stanley make a lot of different products for the home and use various woods and wood composites in their ranges. They take care to source the wood locally from reputable suppliers, as this lets them ensure the consistency of the materials used. The next step in the process is the craft itself. Stanley are one of the few companies that don’t outsource their labour abroad. This means that skilled Americans are handling the products and assembling the pieces that go into your home. American built products are far superior to outsourced production and it’s always worth looking out for. Stanley is an old company and this has allowed them generations to hone their craft. Traditional techniques are used in their manufacturing which have been tried and tested over the years, making some sturdy units. However they have also embraced the technological changes and modern techniques that are now incorporated into the processes. This has allowed them the key elements of both worlds which adds to the construction values. The final step before going out into the dealership is the quality control. This is where industry experts examine the furniture to make sure it’s suitable to be sold. Theoretically this is where any problems are caught before they reach the customer and cause issues, though in practice some do slip through the net. Stanley have taken the steps to ensure that quality can be seen in all of their products. The materials and various stages of production are all in place to keep the construction consistent, without any glaring errors or problems. It’s not always a perfect process but it shows that the company cares about what they produce. There’s a conflict of opinion when it comes to Stanley Furniture. They’re an old brand that have gone through a lot of changes and reorganisations throughout the years, this means that the quality can differ from purchase to purchase. The majority of customers seem pretty pleased with their purchase and Stanley Furniture seem to have done enough to keep them happy. “I bought a Stanley bedroom set from their American Modern Collection and am appalled at the quality we received. One of the reasons we purchased it was because it was "Made in USA". Didn't matter. Stanley is not the same company it used to be.” - George M.
Stanley do seem to have made some manufacturing decisions in the last few years that have seen a dip in quality. There doesn’t seem to be the same rigorous checks in place and they aren’t taking as much pride in their work. Overall the reviews of Stanley show enough negativity to give us concern and make us think twice before ordering. Stanley offer a 3 year warranty for most of their products. This covers any problems and defects in the workmanship or materials. Certain elements within products, like springs or cushioning, may be subject to a different warranty so always check with your local dealer. Stanley furniture definitely has a fair few good points. There is a lot of choice in products and they offer specific pieces as well as whole collections. There is a certain amount of style in their products too allowing for fashionable and practical furniture. The real problem with Stanley is the quality, which at best can be described as so so. I would describe the quality about the same as Man Wah, which can be described as cheaper the most. The quality that the company was built on doesn’t seem to be as prominent and you do need to be careful. However if you have time to talk to your local dealer, find out all the details and make sure you know exactly what you’re getting you might be able to find some value with the brand. If you are looking for a good furniture option that is around the same price but with better quality then I suggest taking a look at Rowe furniture who is also from Virginia!